If we don't get one legal fish into the boat, then your next trip will be free! Short trips due to weather, waves, late arrival, seasickness, and intoxication are not included in this guarantee. Trips taken against the advice of the captain are also not included in the No Fish - No Charge Policy. 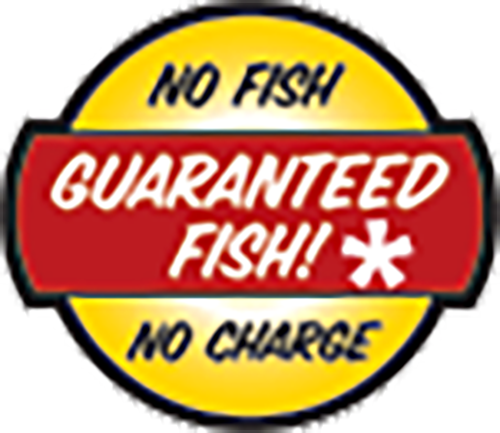 Our No Fish - No Charge Policy applies only to our 8 Hour Salmon and Trout charters aboard the 36ft Leader. All charters of shorter times do not fall under this policy.